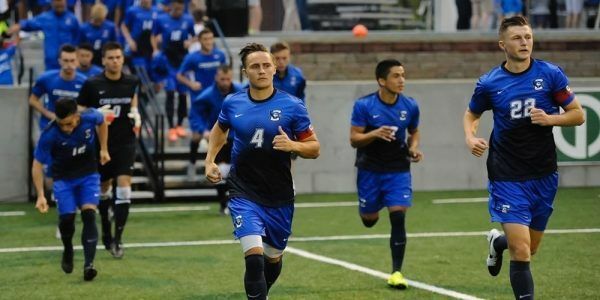 The Creighton University Bluejays Men’s Soccer College ID Camp is a three-day overnight camp that will run from the 20th of July until the 22nd of July. The program is open to all boys 14 to 18 years of age who are aspiring to play soccer at the college level. This soccer identification camp will provide the participants a preview on how it is like to train and play in the collegiate level. Additionally, this soccer camp also includes strength and conditioning sessions, college recruiting talk, and a question and answer session with the Bluejays coaching staff. This is program is going to take place at the top-notch Morrison Stadium which is in the Creighton University campus. Creighton University, originally Creighton College, is a private, coeducational university in Omaha, Nebraska. Its name is in honor of Edward Creighton. It is an affiliation of the Roman Catholic – Jesuit. The university is also a member of the Association of Jesuit Colleges and Universities. And, it has an accreditation from the North Central Association of Colleges and Secondary Schools. Creighton University is a top-tier academic institution. In fact, it is at the top of the Regional Universities Midwest, 2018 edition of the US News and World Reports Best Colleges rankings. It is also at the top of the Best Colleges for Veterans rankings and at number 6 of the Best Value Schools rankings. Furthermore, the university is home to around 4,200 undergraduate students and around 4,300 postgraduate students. This undergraduate student population is with a 43 percent male and 57 percent female students gender distribution. The acceptance rate is 71 percent. In athletics, Creighton University fields 14 intercollegiate men’s and women’s teams in the National Collegiate Athletic Association Division I, Big East Conference. They are the Bluejays and blue and white are their official colors. Billy the Bluejay is the Creighton University mascot. Leading the Creighton University Bluejays men’s soccer team is Head Coach Elmar Bolowich, a native of Edenkoben, Germany. He is now in his seventh year at the reins of the Bluejays men’s soccer program. Coach Elmar Bolowich is a bachelor’s degree in sports education graduate from the University of Mainz in Germany. Ultimately, he is the 2014 All-Great Lakes Region Coach of the Year and the 2011 NSCAA Midwest Region Coach of the Year. Coach Elmar Bolowich is also the 2011 NSCAA National Coach of the Year awardee. Under his leadership, the Bluejays men’s soccer team has won the 2014 BIG EAST regular-season title. Then, the Creighton Bluejays assistant soccer coaches are Johnny Torres and Michael Gabb. Coach Johnny Torres who hails from Medellin, Colombia is now in his 11th year with the Bluejays coaching staff. He is a Creighton University alumnus with a degree in social work. Coach Torres is one of the most illustrious figures in college soccer. In fact, he is a two-time National Player of the Year awardee and an inductee into the 2004 Creighton Athletics Hall of Fame. Coach Johnny Torres is the 2015 National Assistant Coach of the Year awardee. He is also the 2011 and 2012 NSCAA Great Lakes Region Assistant Coach of the Year awardee. Finally, Coach Michael Gabb the goalkeeping coach is a bachelor’s degree in psychology graduate from Creighton University. Additionally, Coach Gabb is the 2016 NSCAA All-America. He is also the BIG EAST Co-Goalkeeper of the Year awardee. Join the Creighton University Bluejays Men's Soccer College ID Camp from July 20 until July 22 at the state-of-the-art Morrison Stadium in Omaha, Nebraska. This camp will provide an opportunity for boys who desire to play at the college level to showcase their outstanding soccer skills in front of the Creighton University Bluejays men's soccer coaching staff.